Don't just reach for the flat iron to straighten your hair. There's a reason that the idea of having straight hair is a popular concept. It easily reflects light, giving the strands a noticeable shine. The locks are so fuss-free that you can run your hands through them all day long without worrying about messing up the style. With so many advances in hair products and tools, curly-haired women can achieve smooth, silky tresses just like their straight-haired sisters. It may take a bit more patience, but this coveted look is most certainly within reach. 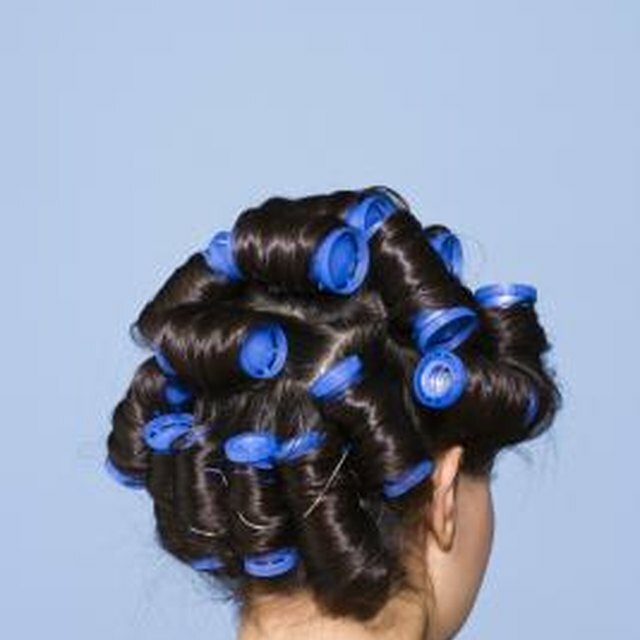 Shampoo and condition your hair to moisturize the locks. Gently squeeze out excess water from the hair and comb it from ends to roots to remove any tangles. Apply a straightening product, specifically for naturally curly or wavy hair, or use a volumizing product if your tresses are naturally quite straight. Follow by applying a heat-protecting serum or spray. Section hair with clips into a top and bottom half and dry the underneath first. Take 2-inch sections at a time and, working from front to back, pull the hair straight in an outward direction with a bristle brush. Point the hair dryer at a downward angle to prevent frizz. Smaller sections may be needed for thicker hair. Repeat drying with the top half of the hair, paying extra attention to hair at the crown which is more easily seen. Use a flat iron that features a variable heat setting. Keep the iron set to around 300 degrees to prevent damaging the locks. Use narrow plates, less than 1-inch wide, for short hair or 2-inch plates for long hair. Similar to drying, start with the half underneath before moving onto the crown of your head. Place the iron as close to the roots as possible, and gently pull outward in a steady movement for a flat, smooth look. Mist hair with a light hairspray or shine product. Maintain the look for longer by spraying dry shampoo onto the roots one to two days after straightening. For a voluminous look, place the iron at the midsection of the hair shaft, pull it gently out and twist the iron as it reaches the ends. 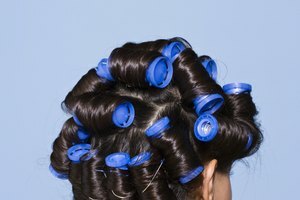 Use a lightweight dryer and flat iron since arms may tire after frequently lifting these tools. 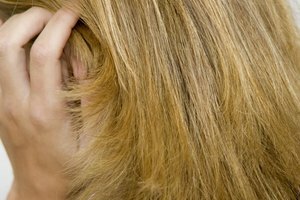 Let your hair air dry every once in a while to take a break from the damage caused by the heating tools and constant tugging from the brush. Goldberg, Pam. "The Steps to Straightening Your Hair." Synonym, https://classroom.synonym.com/steps-straightening-hair-14505.html. Accessed 25 April 2019.